If your hobby is going on an outdoor adventure with an RV, you are going to need to have your own GPS unit that is designed specifically for RV enthusiasts and campers. With this handy device, it would be a lot easier for you to plan your trip ahead. Aside from knowing the exact location of your destination, you will also be assured to arrive at your camping site in a timely manner. Having a GPS system in your RV lowers your risk of getting lost, which can consume a lot of your time. In this post, we are going to talk about everything you need to know before getting yourself an RV GPS. As not all units are the same, we have provided you a list of the best RV GPS, along with their best features, pros, and cons. Read on for the list of the options you should consider. Garmin delivers one of the most innovative technologies when it comes to GPS navigation, which is why we consider it one of the best RV GPS systems out on the market right now. This RV GPS navigator is loaded with outstanding features that will make it very easy for you to reach your destination. The Garmin RV Portable GPS Navigator comes with a large 7-inch display, along with extra loud speakers. It is also equipped with detailed maps for the US and Canada, including RV-related restrictions. It also has a comprehensive directory of nearly 20,000 RV parks and services locations, as well as campground listings that are categorized based on your preferred amenities. 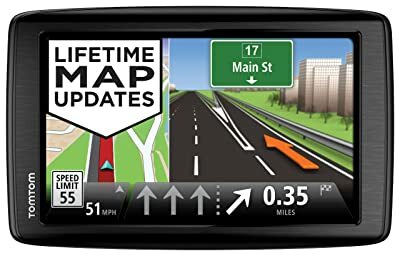 Other great features include free lifetime map and traffic updates, Bluetooth connectivity and smartphone link for both iOS and Android. It comes with a voice-command option, which allows it to respond intelligently just by using verbal commands. Lastly, it is compatible to use with wireless backup cameras, which are sold separately. It is very easy to operate and is highly portable. It has the capability to map out the ideal route using real time traffic information. You will be able to customize it based on your RV’s specifications. It has a large 7-inch display. It comes with a Bluetooth feature, as well as smartphone link. You will also find it easy to find parks and service locations with the unit’s preloaded directory. You might find it a bit challenging to install. The wireless backup camera is sold separately. Another great RV GPS navigator on this list is the Garmin RV 760LMT, which now comes with a wireless backup camera. It is very much like the previously discussed model, only with a few upgrades included. 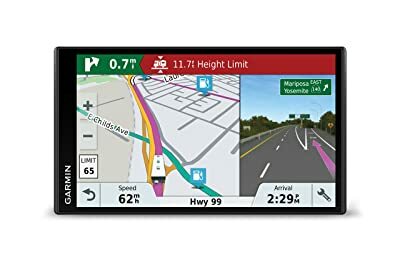 Garmin sure knows how to make it easier for their consumers by offering a unit that can transmit images wirelessly to the 7-inch high-resolution touchscreen display. Just like the Garmin portable GPS navigator, this model provides lifetime map and traffic updates, a US parks and services directory, and a customize RV routing. With the screen’s size, you will never have a difficult time seeing the things clearly on the display. It also comes with the voice-command navigation, which would make it easy for you to focus on the road. It also has Bluetooth features, allowing you to connect it to your tablet or smartphone, if it is compatible. You will be able to use it hands free, as it is equipped with a microphone and an extra-loud speaker. What sets it apart from the previous model is that through the wireless backup camera included, you will be able to find obstacles and vehicles immediately. A wireless backup camera is included in the package. It has a built-in Bluetooth features. Just like the previous model, it offers lifetime map and traffic updates. It will also be able to respond to voice commands. The 7-inch screen size will make it easy for you to see things clearly even if it’s a bit far away from you. You might find it difficult to follow installation instructions. Weather updates are available for an extra $5. The TomTom GPS navigator is another great product, which offers lifetime map updates. This feature would be beneficial for you because the map automatically changes when the road does. It also boasts its IQ routes and map share technology, as well as real time updates on maps that cover the US, Mexico, and Canada. With the TomTom’s 6-inch wide screen display, you will find this GPS navigator very easy to operate, ensuring a smooth drive from start to finish. You will also have the capability to see which way to go in advance through its split screen feature, allowing you to see two views at the same time. Another thing is that it can provide local information such as nearby restaurants, hotels, and shops. Included in the package are the TomTom VIA 1605 M GPS navigator, an integrated mount that can easily be attached to your windshield, a Lifetime Maps voucher, a USB traffic receiver, a charging cable, a mini-USB cable, adhesive disk, and documentation. It offers several onscreen options with its large 6-inch display. An integrated mount is already included in the package. Lifetime map and traffic updates are also provided. It comes preloaded with 7 million points of interest including the nearest restaurants and hotels. The package will not require you to buy additional accessories. It has no Bluetooth functionality. The USB power cord might be very difficult to unplug. 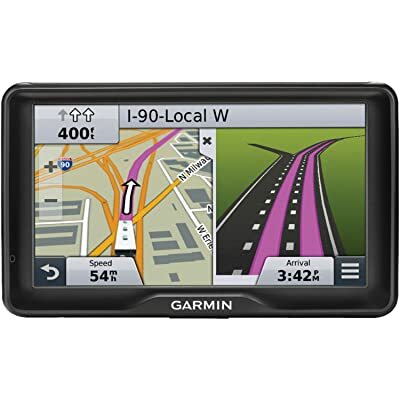 Another Garmin product on this list is the Garmin RV 770 NA LMT-S GPS Navigator, which comes with a 6.95-inch touchscreen display. It provides RV-specific features that include custom routing based on the weight and size of your RV, as well as road warnings. These features would make your outdoor adventures a lot safer. What makes this model a lot better than the rest is that it has a built-in Wi-Fi, in which you can access live traffic, as well as weather updates. This feature makes it possible for you to access North American lifetime map and software updates while you are on the road. It also comes with hands free features including Bluetooth calling, voice activated options, and smart notifications. 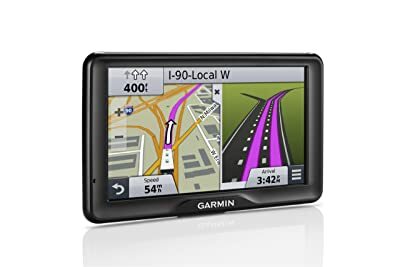 Just like the other Garmin RV GPS navigators on this review, this model is preloaded with RV-related restrictions including weight limits, bridge heights, and useful information on major highways and roads. To add, it will be able to find you the most efficient route across North America, so you would not have to worry about getting lost. With this model, it is assured that you will arrive at your desired destination at a timely manner. 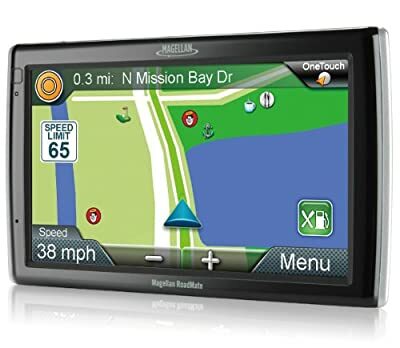 This GPS navigator makes it easy for you to see directions with its 6.95-inch high-resolution display. Includes modern features including Wi-Fi and Bluetooth connectivity, smart notifications, and voice-activated controls. It will also be able to provide you the best attractions in your chosen route. Routes is highly customizable based on the size and weight of your RV. Address book feature is not included. Some routes may be restricted if you have set it on RV mode. The RV 9145, a team effort produced by Good Sam and Magellan, is a GPS navigator designed specifically for RV enthusiasts. It comes with an extra-large 7-inch touchscreen display, as well as the customer favorite, the OneTouch Favorites Menu that will allow you to customize your navigation experience through instant access to your favorite searches and destinations. Just like the previous product, you can customize your routes based on your RV’s size and weight; thus, making your trip free from hassle and stress. It also has the Multi-Destination Routing technology, which helps you save time and money through planning multiple stops. You may either plan or just let the navigator select the most efficient route. This smart RV GPS navigator has already been preloaded with 6 million points of interest, in which you can easily locate the nearest restaurants, gas stations, and lodging, among others. It also has the automatic night view setting that makes it easy for you to view it at night. Lastly, it offers a detailed map of the US, Puerto Rico, and Canada. With its 7-inch screen, you will be able to see everything clearly even if it is mounted a little far from you. The package includes a heavy-duty and durable extension mount. Inputting a destination is less time consuming because of the Quick Spell technology. It does not offer real time traffic updates. One of the most important factors that you need to consider is the screen size, as you will be needing to look at your RV GPS navigator to go to your destination. With this, you are going to need a reasonably large screen size, if you do not want a difficult time glancing at the displayed routes and directions. Having a screen big enough for you to see it prevents you from getting your focus divided. If budget is not an issue, you might want to choose an RV GPS navigator with at least 5 inches of screen size. A 7-inch GPS navigator is also advisable and maybe considered already an advantage, but it may be a little expensive than other units. It should be noted that you must avoid a unit that has a small screen size, especially if you on your own all the time. Before you purchase your own RV GPS navigator, take time to assess the unit’s controls, as well as how easy it is to operate. After all, the overall interface makes a big impact on your buying decision. If the unit’s settings are difficult to access while you are driving, you might want to skip on that. You also should remember that fiddling with the controls will not be as enjoyable as the trip you are planning with your RV. It has proven that RV GPS navigators that has a touchscreen display are a lot easier to use. This is driven by the fact that you will not be needing to insert address or input street names. In addition, you might want to check the loading time on the device. You must make sure that it does not take too much time for you to find your desired destination. Another factor that you need to consider is the unit’s ease of use and operation. The ease of installation and mounting options are also factors that you need to look out for when choosing an RV GPS navigator. Normally, the devices presented in the above reviews come with a windshield mount, along with a suction cup. When choosing, you need to go for one that has an angled and a steady arm, which ensures that the unit stays still and attached to the cup. One thing to avoid is buying one that has a gooseneck arm, which tends to vibrate when your RV is moving. Make sure that the unit you choose is not at all difficult to install. Better yet, choose one that you can easily snap into position or slide to be removed. Knowing how often you go on a road trip or an outdoor adventure with your RV is also vital when choosing a GPS navigator that you can rely on. If you are only using it occasionally, it might not be practical that you spend so much money on a fancy model. However, if you do take trips often, it is advisable that you invest on a more expensive model, if it has all the features that you need to make the most out of your trips. Though optional, having Bluetooth and Wi-Fi connectivity in your RV GPS would be beneficial for you, especially if you want to be informed of real time traffic and weather updates. Having these functionalities makes your unit a lot more dependable and capable of delivering an outstanding performance you expect from it. It also offers convenience, as you can pair it up with your tablet or smartphone with just a touch of the screen. Before you purchase a GPS navigator, spend some time to check the GPS receiver to see if it works properly. Generally, it would take a few minutes to establish a connection with the satellite but it will be able to fix your exact location a lot quicker in the future. In case you did not know, GPS navigators offer a lot more reliability than most smartphones and tablets. Another thing to consider when choosing an RV navigator is the presence of lifetime updates, as these devices need to keep up with the ever-changing maps from Google and other map providers. In the reviews presented above, you have come across devices that has preloaded points of interest, which can be very useful for finding the nearest landmarks. To add, make sure that your destination is in the map, as some do not offer routes outside the US. When you are out on an adventure with your RV, you might find it difficult to input your desired destination, especially when you are driving. This is the reason why modern technology has utilized predictive data entry to promote ease in entering the addresses of your destination. If the unit has this feature, it would a lot easier for you to do your searches quicker. You may also find it convenient that you will be presented with your commonly searched addresses even if you only enter the first few letters. It is also a relief that you only need to scroll down to pick the correct address. When buying an RV GPS navigator, it is highly recommended that it has this feature, as it also promotes road safety. What sets a model apart from the rest is the additional features incorporated into the device, which can also be an important determining factor in your buying decision. Features such as wireless backup cameras compatibility, preloaded points of interest, information on US parks and service centers, mounts and other accessories, voice-activated controls, and customizations based on your RV’s weight and size are all very important when choosing an RV GPS system. When buying one, take into consideration the features that you will be needing the most so that you know if you are willing to pay the price for that unit. You should know what makes a unit special than the rest of the navigators presented in the reviews. With this, you will be able to narrow down your choices, as well as decide which unit is the best bang for your buck. Now that we have discussed everything there is to know about RV GPS navigators, it is now up to you to choose the unit that is right for you. It is very important that you review each product’s pros and cons to determine which features make the most impact and the best value for your money. We hope that you have learned a lot with this Best RV GPS reviews.